Wild Snake River spring/summer chinook salmon are the backbone of Idaho's wild areas. Historically they returned millions of pounds of marine nitrogen to Idaho's tributaries to fuel ecosystems. 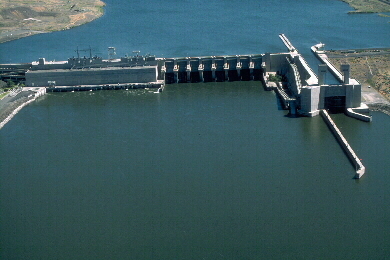 In the 1950s, the Snake Basin saw runs of 100,000. They were close to extinction in the mid-1990s at less than 2,000 fish. Because of good ocean conditions and some good water (migration) years they rebounded to 45,000 in 2001 and have now slid to less than 20,000. Recovery should be measured in excess of 75,000 salmon on a sustained basis. Hatchery fish are often included when reporting salmon numbers to bolster the outlook. Their periodic success -- good ocean and migration years -- is the product of millions of juveniles released every year at a cost of millions of dollars. Hatchery salmon do not contribute those essential marine nutrients to the Frank Church-River of No Return Wilderness. Sustained health of wild salmon can only be achieved from a free-flowing lower Snake River. That same free-flowing river is the best way for Idaho to retain all of its irrigation supply.